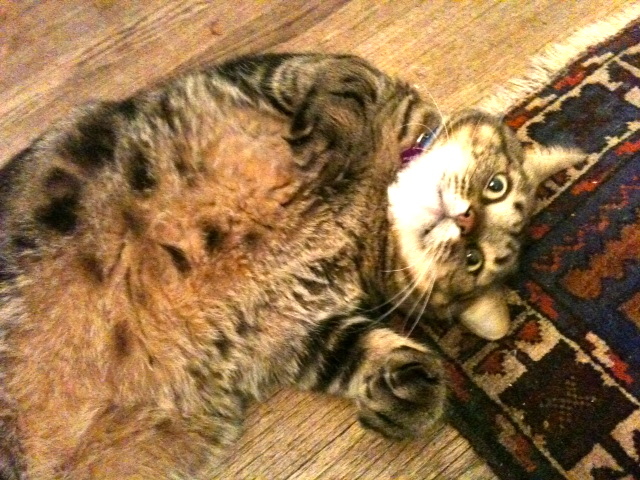 Don’t let 22 pounds of blubber fool you. This cat isn’t sweet. Yesterday, I was booked on a live radio show from 4-5 pm. This is not my first book promotion rodeo. I was ready to rock. I taped a note to the front door warning all comers not to knock or ring the bell. I cooked dinner early for the ungrateful wretches I gave birth to, and it was in the oven ready to be plated. I stuck post-it notes on my teenagers’ doors with dire warnings about homework, the state of their rooms, and miscellaneous bossy instructions to get them through two hours without my direct supervision. I had the usual spread across the floor: speaking calendar with dates and times for events in different cities, reading glasses, my social media addresses ready to recite on the air, and copies of my books with pages marked to read for different time constraints. 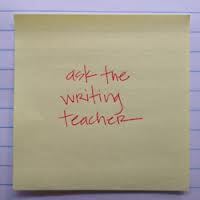 (You can’t believe how often interviewers ask about specific pages or quotations in books I’ve written—as if I have all 4 books memorized or something. Who does that?) I was ready for drive time callers. As soon as I started speaking, my adopted, born-under-an-abandoned-house, his-daddy-was-his-brother-was-his cousin, Hemingway-pawed ball of contrariness attacked. Full-on frontal. When I shoved him away and refused to focus my attention on him with the adoration he expects from the humans who share his space, he went nuts. By the time he came at me from my flank, my arms looked like I’d been juggling knives. I couldn’t lock in him in another room because past experiences have taught me that he will raise the roof, bang on the door with his giant mitten-paws, knock over anything valuable that will crash with a big noise, and generally continue his feline tantrum until he gets what he wants. MEANWHILE, I was forced to continue chatting with an interviewer several states away and entertain callers as if nothing in the world was going on. Someone commented later that I had a “breathy” quality to my voice that was appealing. Yeah. I was breathy all right. I was totally out of breath. All out war will do that to a girl. You’ve never seen me wear a t-shirt. True enough. I don’t often wear them because it’s not a good look for me. The truth is that I need a few layers between me and the rest of the world to be happily attired. I don’t seem like a woman who would wear a preachy t-shirt. Also true. You’re betting I won’t wear this t-shirt because it has a grammar error on it. I do not play when it comes to grammar. Of course, I see the mistake. I’m not blind. This t-shirt should read, “God is much bigger than I.” I admit it bothers me. I’m a big enough person to confess that. Because I love the coach who gave it to me, we’re going to say that this error is by design. I’m going to declare it a charming colloquialism, an attempt to convey a message informally for maximum effect. Just so you know, we’re going with that excuse today ONLY. Only Coach Steve Sills could give me a shirt with a grammar error on it and expect me to wear it while running on the treadmill. I wouldn’t do that for anyone else in the world. It may actually hurt. We’ll see. Coach Sills and I are unlikely friends. He’s young enough to be my son. That’s irritating enough. He’s a coach. I say unflattering things about coaches all the time. He’s a former athlete. I wash athletic uniforms, work concessions, and feed the team. He’s male, a dad to two adorable little girls. I’m a mom to three teenagers, and I can barely remember when my kids were that little. He’s black. I’m white. He calls me Ma Thompson. I boss him around without compunction. When I found out he had not finished the work for his teaching certificate, for example, I hounded him mercilessly to finish that up. Today’s life lesson: On rare occasions, when you give someone a little grammar leeway, you get pure poetry. I’m not making this story up. It’s important to state that for the record, I think. I haven’t changed the names in this essay to protect anyone’s anonymity either. I quit doing that a long time ago. What does it matter? I write G-rated humor, which is always at my expense, so even when I look like the world’s biggest idiot, everyone else looks like Albert Einstein or the Dalai Lama. A couple of weeks before Christmas, I opened a two-for-one insert in my December issue of Real Simple magazine, my favorite monthly publication on the planet. I savor every page. Each issue is useful, interesting, and can be counted on for good writing, thrifty tips, and quirky lists. What’s not to like? I’ve been a long-time subscriber and a Real Simple groupie for years. I’ve even submitted work to them. Usually, I order everything possible online—lipstick, vitamins, even Chinese food. Since Christmas was right around the corner, however, I decided to order the old-fashioned way, with a telephone call. I located my landline underneath a stack of recycled wrapping paper, blew the dust off, and dialed a 1-800 number which was answered half the world away in India. How do I know an operator in India answered it, you ask? I asked, of course. The accent was a dead giveaway, honestly. I enjoy a bit of colorful cultural interaction in my day. It’s fun. It never ceases to amaze me what a small world we share. Here in Alabama I can talk to someone in India about my magazine subscription. Wow! Go ahead and imagine the accent. It will add local color to this essay. Then I answered sixty-seven questions confirming my email address, my snail mail address, my full name, my parents’ names, the names of my children, my blood type, my credit history, who I think will win at The Oscars, and other bits of personal trivia that might be helpful for someone attempting to steal my identity from half the globe away. Finally, it was time for business. “Can I renew my own subscription and send a gift subscription to a friend using the two-for-one offer from my December magazine?” I asked. “Yes, indeed, Mrs. Thompson. It will be my pleasure to help you with that today,” the operator answered. We went over the particulars several times. My operator repeated, quite precisely, my order. We indulged in a moment of final pleasantries, and I went happily about my day, satisfied that I’d purchased a magazine my Aunt Joan would enjoy for the year and renewed hours of bubble bath reading material for myself. 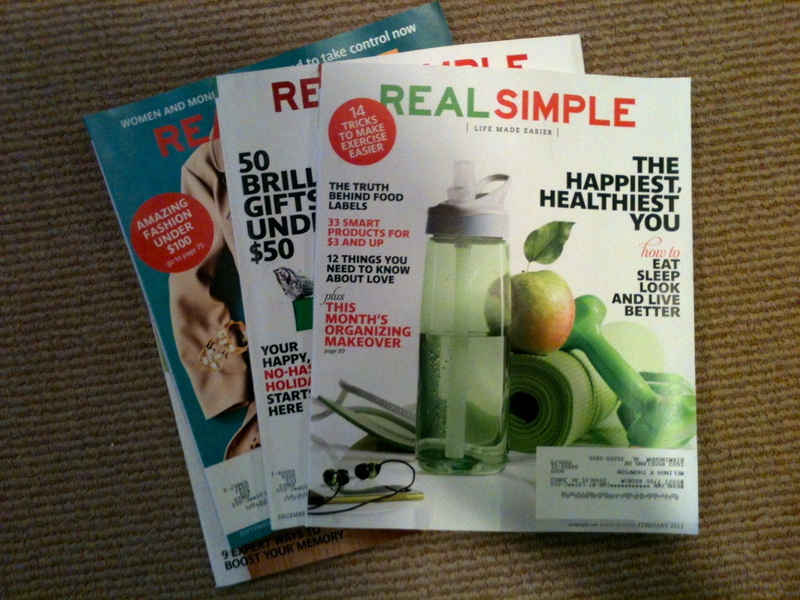 About a week ago, I receive a text from a friend thanking me for renewing her subscription to Real Simple magazine. “So glad you like it!” I responded, baffled. I had, indeed, given my friend, Vera Britton, a gift subscription to Real Simple—last year, for her birthday. I had NOT renewed it in my recent international summit, darn it all. How embarrassing! With a long-suffering sigh, I jotted down “call India” on my to-do list for the next day. Of course, I got a different operator in my second intercontinental adventure. It became apparent immediately that I was living a real live Cool Hand Luke moment—what we had was a “failure to communicate.” The operator had excellent English-speaking skills. (I can say that because I used to teach ESL students. I know what I’m talking about.) That wasn’t the problem. I don’t speak Hindi or any of the other twenty official languages of India—not counting about 400 regional dialects. His speech patterns were British upper crust tea-and-toast-points. In fact, what he understood from my softened, slurred Southern consonants may have been the real issue, but, regardless of the root of the problem, we achieved no customer satisfaction and no meeting of the minds in our conversation. “What is the nature of your problem today, Mrs. Thompson?” he began. “I am looking on the computer, Mrs. Thompson, and I see that you did, indeed, send one to Mrs. Britton on December 11th,” he argued. “Ah . . . what?! No! Listen: you and I are not communicating well. May I speak to your supervisor or someone else?” I asked. I felt like I was in the middle of a Saturday Night Live skit. I suspect that my Indian operator was oblivious in Hindi as well as English. He also needs to work on his listening skills. In addition, I’m a little worried that he used his lunch break to sell my credit card number and personal information to the highest black market bidder. I am by nature a neat and orderly person. I have always been this way. Blame it on my genes. I was folding receiving blankets in the hospital nursery shortly after my birth. I feel a primal urge to straighten, neaten, organize, and tidy clutter of any kind—in my house, your house, even department store dressing rooms. I think my natural neatness is a charming facet of my personality. Not everyone agrees. Occasionally, I feel the urge to tidy-up real live people. When I encounter young men wearing low-riding pants, for example, which display their underwear to grandmothers, nuns, and preschoolers alike, I feel a strong compulsion to tuck their shirts in, pull their pants up, tighten their belts, and generally boss them around a bit. I don’t, of course. It would embarrass my children. Also, I might get shot or arrested, and that would interfere with a number of fun social outings I have planned with my friends. The point is: I think about doing it. Just this week, while I was having my hair cut, a woman came in to the salon to apply for a job. Like every other Southern woman in the joint, I openly eavesdropped on her interview with the owner. It didn’t go well. First of all, the woman was smacking a huge wad of gum when she walked in the door. She was really enjoying it, too. When she blew bubbles, it was apparent to all that she could use some dental work. I did not feel optimistic about her chances of being able to afford that, based on her salon interview. She had chosen a T-shirt urging others to “get a life” to wear to the interview. Her hair was piled haphazardly on her head and secured with a chip clip. Clearly, she was not worried about first impressions. I wouldn’t have hired her for anything. All those messy details are a sign from God. If this was the effort she expended for a job interview, I can’t imagine what she’d do on days when her kids are sick, her car won’t start, it’s raining so hard the kids are wearing life vests, and her husband is needling her last nerve. It took every atom of self-control I’ve amassed in my life to remain under that cape in my salon chair with my mouth closed. I’m telling you—I could have changed her life if she’d solicited my counsel. However, she didn’t ask for my opinion, and I have nice manners, so I didn’t offer any pearls of wisdom. Not everyone has been taught to interview properly, you know. I was tempted to offer to mentor her myself, but, instead, I minded my own business. I’m not sure I made the right decision. I could have changed her life—just by tidying her up. I don’t know why some people are so disparaging about neat freaks. Messy people are plenty excited when neat freaks like me know just where to find: the security code to silence a blaring alarm, a copy of the flood insurance when the water starts rising, batteries for the television remote right before the SEC championship game kicks off, a Living Will when there’s talk of pulling the plug, emergency cash to bail someone out of jail, and shotgun shells for . . . whatever needs shooting. My neatness obsession benefits my family and friends—even perfect strangers. Invite me over to vent about your cheating husband, and I’ll advise you AND organize your kitchen spices. When I am worried, I clean out my bedroom closet. It gives me a sense of control over something in my life, albeit a small thing. Try it. There is nothing like instant gratification to give your brain a tiny adrenaline rush of satisfaction; it’s the same feeling you get when you pop a chocolate truffle in your mouth. I believe that we are who we are from birth. I come down on the side of nature in the nature v. nurture debate. I think the “nurture” part is just what well-mannered humans do to manage our natural tendencies to resolve our differences by bonking each other on the head. Nevertheless, DNA is no excuse for bad behavior. Unfortunately, I live with three teenagers who did not inherit my neat-freak trait. I have tried to overcome Mother Nature’s hardwiring with a variety of time-tested social conditioning tools—fussing, nagging, yelling, begging, bartering, cajoling, and bribing—with little success. As a result, we have a volatile mix living under one roof: messy kids and a neat-freak mom. Nothing good comes from that. Every day, when I wake up and wade through the detritus of my children’s rooms where half-eaten sandwiches, empty water bottles, candy wrappers, dirty socks, cell phone chargers, smelly shoes, hair ties, athletic equipment, musical instruments, half-finished homework assignments, and other items, which do not belong on the floor but seem to end up there on a regular basis anyway, it infuriates me anew. The whole neatness conversation makes me want to take to my bed with a cold cloth on my forehead. Life doesn’t have to be this messy. Sadly, it usually is—literally and metaphorically. People say stupid things. Sometimes this happens because they don’t know what to say, but they feel the urge to say something, so they say the wrong thing on the assumption that saying anything is better than saying nothing at all. This is usually a bad decision. At funerals, for example, when well-intentioned people are flummoxed in their efforts to come up with the “right” words to say to the bereaved, what comes out is frequently awkward, callous, and, upon occasion, downright dreadful. I’ve overheard comments about how “good” the deceased looks in his coffin. I bet you have, too. Mercy! Does anyone believe this is really something a teary widow wants to hear? How in the world is this helpful? How should she respond? “Well, yes, Aunt So-and-So, considering he’s dead as a dodo, I think he looks pretty good.” Let me clear this up: If you can’t think of something comforting to say at a funeral, the words “I’m sorry,” will suffice. They’re hard to beat. We’ve all been guilty of allowing a glib comment to trip off our tongues, words that we immediately wish we could ram back down our throats to be swallowed whole and never heard from again the minute we hear them echo around the room. Unfortunately, the words we hear in our head often sound different when they ricochet like machine gun fire across a crowded funeral home parlor. Once those words are out there, it’s too late to do anything except absorb the resulting flak the best you can. In a fit of temper or when our spouses, children, or jobs try our very souls—that’s when we are in the most danger of allowing our mouths to run amuck without a thoughtful preview by our brains. Most verbal gaffs are simply the result of people forgetting to think before they speak. 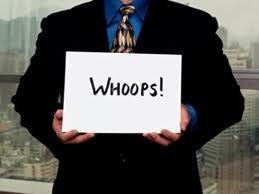 In diplomatic circles, such mistakes are called whoopsies. Rather onomatopoetic; don’t you think? I love the jargon. Those of us who overhear such statements wince in sympathy and thank our lucky stars that we didn’t say something worse ourselves. Heaven help you if you’re a public figure with foot-in-mouth disease. You’ll be raked over the coals in the media until somebody more famous makes an even bigger whoopsie. Sadly, we all know a few people who purposefully toss verbal hand grenades into the conversation, either because they really are clueless or because they love to stir the pot among colleagues, friends, and volatile family members—just to watch the ensuing mayhem. I’m sorry to say that the world has some mighty mean folks in it. I bet you already knew that. When you hear one of those grenades clatter around your feet, you can scramble around on your hands and knees in an attempt to slide the pin back in, but it’s probably a hopeless endeavor. Go ahead and roll your eyes. Make gagging noises. Look indignant. Demand a retraction. Then . . . let it go. An apology is usually the only redress available, and if someone is too ornery to cough one up, remember these words: you can’t fix stupid. That’s genetic. Ignorance can be overcome, but stupid is forever. Stupid people say stupid things. That shouldn’t surprise anyone. Even though you are temped to smack those people upside the head with the closest heavy object, that’s not the best way to handle it. It might go a long way toward making you feel better, but it won’t do one thing to change the mind of the stupid person being assaulted. Even if they really have it coming, it’s best not to resort to violence. I know what you’re thinking: “There are some people who need to be taken out to the woodshed, SWAG Lady.” Well, yes. Maybe. Depends. That doesn’t mean it’s your job to smite them. I don’t know where people come up with these ideas. I always want to ask: Do you read at all? Here’s my advice: Stand up for what you believe in. Avoid the crackpots whenever possible—even if they’re family. Educate the ignorant when you can, but be nice to stupid folks. They can’t help themselves, and it shows you have nice manners.